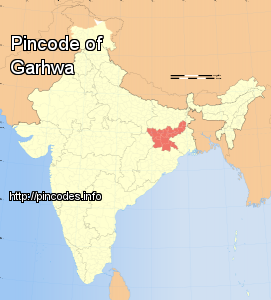 Garhwa is a city and a municipality in, and headquarters of, Garhwa district in the state of Jharkhand, India. The erstwhile Garhwa Subdivision of Palamau district consisting of 8 Blocks was separated from Palamau district as an independent district “Garhwa” with effect from 1 April 1991. It is situated on Southwest corner of Palamau division, which lies between 23060’and 24039’ N latitude and 83022’ and 84000’ E longitude. The district is surrounded by river Sone in the north; Palamau district and area of Chhattisgarh in the south; Palamau district in the east and Surguja district of Chhattisgarh and Sonebhadra district of U.P. in the west. Garhwa district is a part of Palamau Commissionery consisting of 14 blocks and two subdivisions namely Garhwa & Nagar-Untrai. Tehri Garhwal is one of five parliamentary constituencies in the northern state of Uttarakhand which will vote in a single phase in the Lok Sabha 2019 election - on April 11. Garhwal is one of five parliamentary constituencies in the northern state of Uttarakhand which will vote in a single phase in the Lok Sabha 2019 election - on April 11.